We’ve sifted through the evidence and created our Six Steps for Outstanding Learning. So far we’ve looked at Step 1, where we activate our students’ prior knowledge and help them to make links. Then we looked at Step 2, where we present the new learning in a way that makes the most of how the brain learns. In Step 3 we looked at giving our students a challenging task to reinforce the new learning and help them to make strong links. 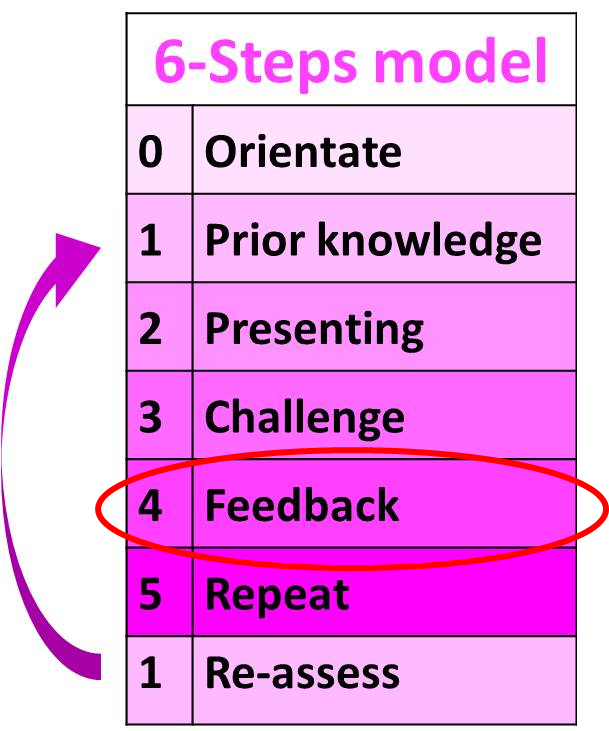 So now we’re on Step 4: Feedback. NOTE: Feedback does not equal marking. If you are overworked doing endless marking, you are not applying the evidence. There are time-efficient ways to give effective feedback. It’s important to give feedback to our students while they do the challenging task. There are many ways to do this, and we’ll look at these in this section. Feedback might involve giving written comments, or it might be getting your students to compare their work. 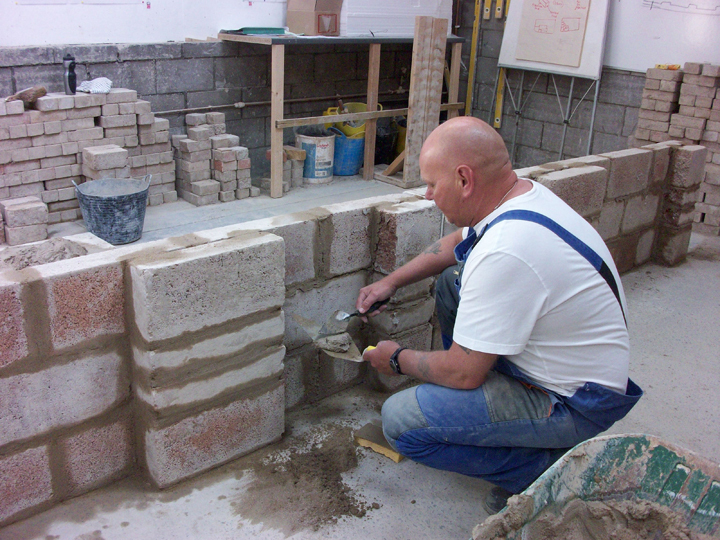 It might be a bricklayer’s tutor wandering past and saying: “Line’s not straight, mate”, or it could be a self-evaluation form for the student to fill in. It could be immediate, or it could be delayed. In this section there is lots of information about how and why feedback works, different types of feedback, and how to put it into practice in the classroom. On the next page you can find out more about making feedback effective, and then read on to learn about self-assessment and peer assessment, and using questioning as feedback. Subscribe to the Evidence Bank to find more videos, research and resources on effective feedback.